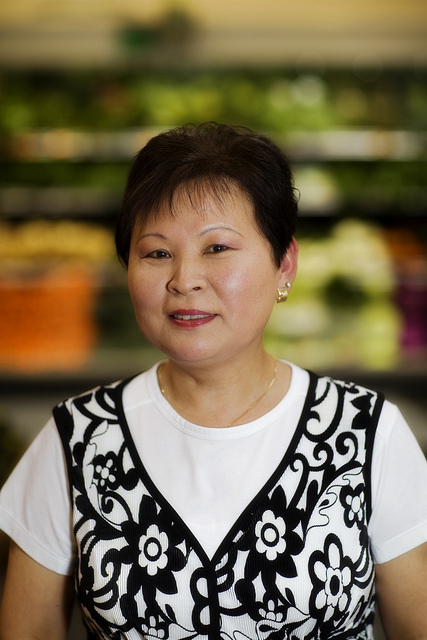 This week, we had the pleasure of getting to know Suki, our knowledgeable Salad Expert at the Burnside store. She provided us with some great insights into her experience at Zupan’s Markets. What is your experience with Zupan’s, and what makes you the Salad Expert? I’ve worked at Zupan’s Markets for over eleven years now. I wake up Monday through Friday excited to come into the store, ready to begin my shift at four in the morning. My job is to stock the deli case with various salads and artfully present all the fresh, ready-to-eat foods. What sets Zupan’s salads apart from other grocery stores’? Zupan’s is very clean. Every morning I fill the pristine case with the highest quality produce we hand-select from local companies. If a salad doesn’t look fresh, I replace it with something that is. What’s your favorite salad this time of year? And what do your customers seem to like best? My personal favorites are the Cucumber Salad and Bowtie Spinach Salad. But I’ve noticed customers buy the Napa Chicken Salad more often than any other. I have to say, I love the Napa Chicken salad too. It is a great, quick lunch. Kathy, we completely agree. Thanks for staying in touch!